The app will keep crashing when I want to read the Bible. Please fix this soon! I like using this app. 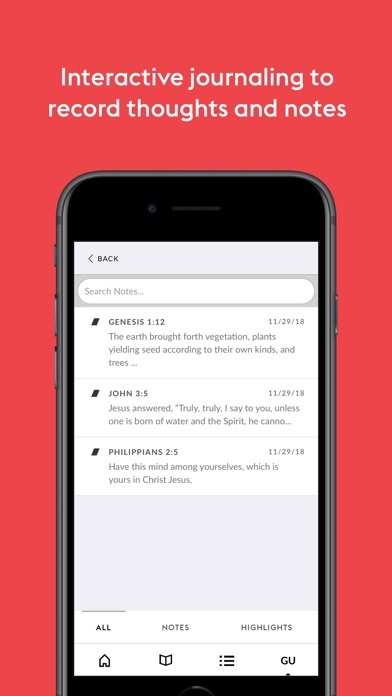 I love this app in particular because the scriptures offered each day are more than one or two verses and relevant in their grouping, then you can choose to read the application or devotional part, or not. It still marks what you’ve read and makes it easy to catch up if you miss a day or several. None of the studies are so long that you lose interest, and I love that it really does give you something to ponder in life application throughout your day, if you just allow God to speak to you through it. Great job SRT! I love the concept of this app but I don’t get why I’m continuously being charged and then only have the same 3 readings all the time. It says I’m charged for multiple readings and then I can’t even find them on my app? Please help. 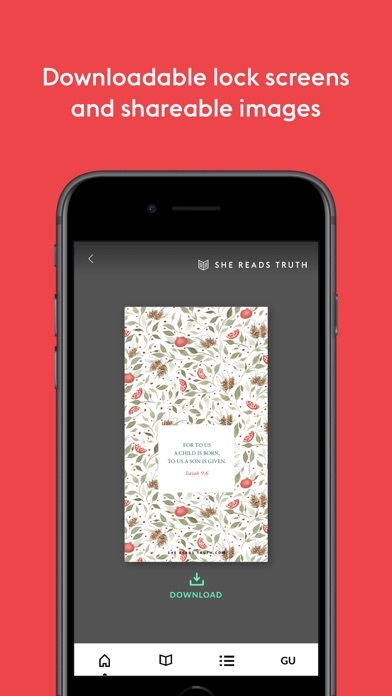 First off- I’ve really enjoyed the She Reads Truth app, but since the latest update (3 weeks ago) I can open the app and read my available plan, but as soon as I click on the Bible at the bottom to read, I get bumped out of the app! Help! Please! I’m pretty bummed that the app is not working. I have reached out to support and it takes almost a month for a response! I WAS a paid subscriber but the feedback I got from contacting SRT was to uninstall and reinstall and now it won’t recognize my log in or Apple password! I keep being asked what version I have I keep saying the most updated and still nothing. I would love to use the app for the fast I want to start tomorrow but it’s not being cooperative!! Really, truly bummed. I’m gonna pray that someone takes the tile out to help me and the app. I can be such a useful tool for growth in the Kingdom. I just love the content SRT continues to roll out. They are always firm on the gospel, and point you straight to Jesus. Personable and objective is hard to get from many different avenues; but these ladies have it done pat. Thank you for all the years you have poured into me! This app is good and would be awesome if you guys would fix the passage picker bug. 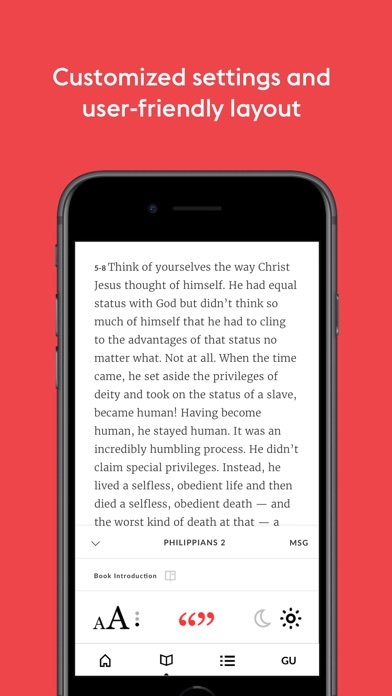 It’s on the he reads truth app also when y’all applied the update that changed the UI - I honestly prefer the older one and it’s simplicity...this one would be better if not for bugs like this - When you select a book of the Bible, or a chapter, the app randomly picks a chapter and sometimes a verse for you. This doesn’t happen every time, but it hurts every time it does! Please fix this and you’ll get the five stars this app deserves and both apps would be promoted from a folder to my home screen! Love you guys! 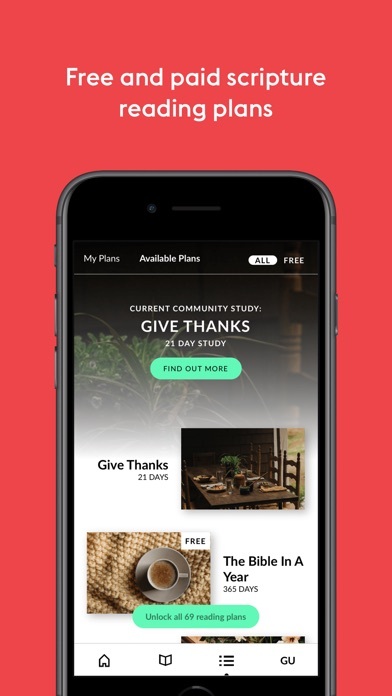 It'd be nice if the app would update with new reading plans as they are available -- especially when people pay for them.